I am a vegan. With that said. I love sushi. Well guess its more fitting to say that I loved sushi and now I am just extremely nostalgic for it. 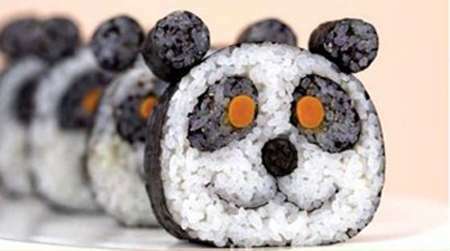 Although I choose not to eat sushi, I have a deep respect for its art. Born out of balance, intuition, and dedication to perfection, sushi is truly a form of beauty unlike any other. Deeply embedded in the humble roots of Japanese culture, virtues of simplicity and respect are eloquently emphasized. Tradition in technique, flavor and commitment are the tenants of authentic sushi. In many ways, the art of sushi mimics the art of mindfulness, the path to enlightenment. It is the embodiment of yoga. Understanding these ethics is one thing, finding them is another. Today’s sushi market is diluted with flare, excitement, and distraction. Overdone decor and layered sauces disguise impurity and mask flavor. Taste comes secondary to experience, when instead it should be ushering the evening’s encounter. Now sushi can be bought in grocery stores, on conveyor belts, floating around on miniature wooden boats, and even in vending machines. Looking around today, it would seem sushi has lost its origins. And since my days of searching for the holy grail of sushi are over, I have been even harder pressed to believe that it still exists. 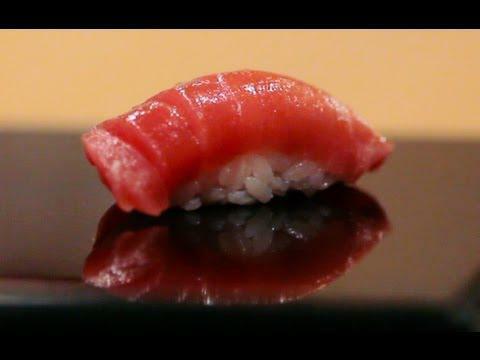 That was until I watched Jiro Dreams of Sushi. This Magnolia Pictures film gives an in depth look into the life of greatest sushi chef alive: 85 year-old Jiro Ono. Owner of Sukyabashi Jiro, a modest 10-seat, sushi-only restaurant located in a Tokyo subway station. Despite its meek appearance, it has earned a 3-star Michelin review (the first restaurant of its kind to garner such prestige). The documentary focuses on the story of Jiro’s life, which for 75 years has been dedicated to sushi. Executed in immaculate fashion, the cinematography is on par with the Discovery Channel’s Planet Earth series. Aside from the details of the movie, encompassed in the film was the art of sushi. 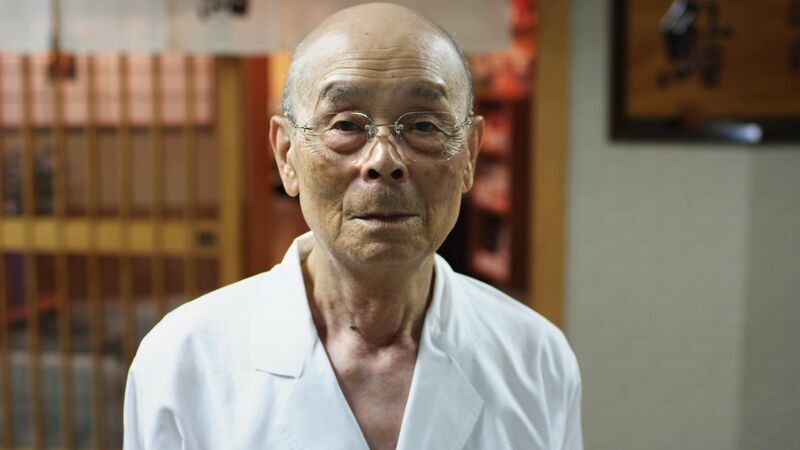 Jiro opens the documentary with a quote, his personal virtue: “Absolute simplicity is purity.” This small sentence encapsulates every action of Jiro’s life, even beyond the kitchen. In his routine of austerity, he has developed a craft of supreme quality. Going beyond his kitchen, he has reached a level of sublime peace within his life. Although Jiro is stern and is by no means an enlightened Zen master, he has attained a level of sustained happiness, a calmness that exudes his being and is very transparent on screen. His life is a replication of his work. In fact, the two are inseparable. “You have to fall in love with your job. You must dedicate your life to mastering your skill,” Jiro is his work. In this fashion he has become the love for his work. His love is displayed in his sushi, in his reputation, and in his kitchen. Love = Work = Happiness. The ultimate (earthly) union. This concept is applicable to any trade. But not every trade can mimic the meditative nature of sushi. Jiro eloquently describes sushi as the union of fish and rice. The yoga of two worlds: the earth and sea. True success is created by honoring the balance between the two. In terms of flavor, this is understood through patience, execution, and tradition in technique. In preparation, this is defined by consistency and ethic. In taste it is described as umami. In the West, umami is understood as a meat flavor or feel. Often times it is described as the flavor of the shiitake mushroom. This linear definition butchers the Japanese connotation. In the film Jiro’s son explains the true nature of umami as a balance. In regards to food, it is the proper combination of flavors, texture, and product that creates umami. However, umami is not restricted to food; it is also the feeling of drinking a good beer. Nor is it restricted to the kitchen; it is also the feeling of a warm bath. Umami is a feeling of perfect balance. In yoga, we call this the neutral mind. Sushi is the culinary cultivation of the yogic mind. It uses fish and rice as its medium, its product, but the entire production is a dance, a ballet, an opus. In fact the score of the documentary was entirely composed of classical music, the perfect combination of flow and execution. True sushi is an art that transcends the limitations of duality. It inherently seeks to create union, yoga with opposing elements, sharing it with those who consume its delicacies. 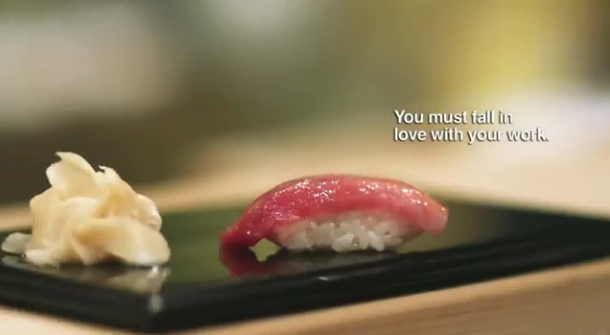 The sushi chef embodies these virtues and seeks to share it with his customers. For those willing to be a part of it, true sushi is indeed a delicious path to enlightenment. Sushi is one of my favorite ways to dine. Beyond the cuisine being offered, sushi imparts an experience of much greater depth. From a hand massage with a hot table side towel to using chop sticks to drinking hot tea, the entire experience of eating sushi is unique and involving. Yet is is often misunderstood that sushi is only a gastronomical experience. Sushi is much more than fish being sliced and rice being steamed. There is a great profoundness to sushi. After years of eating sushi, the only knowledge I gathered came from slim two-fold menus positioned atop japanese restaurant dinner tables. Maybe my stomach was to blame for the lack of research or maybe post-sushi-mortem induced too much laziness for my active culniary curiosity. Either way, I had never looked beyond the epicurean literature of sushi. As I started learning more about sushi, I found that the meals I spent so much time enjoying had a message of great depth. 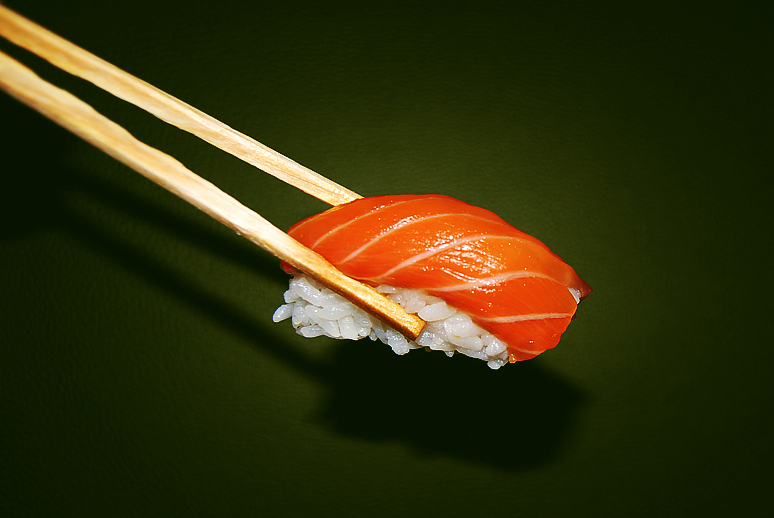 Originating in China, sushi existed out of necessity. Sushi began as a preservation technique that involved rice fermentation greatly extending the life span of caught fish. In modern times it has intertwined with philosophy and religion establishing its artistic and creative roots that resembles the calmness of the most peaceful Zen paintings. Beyond the aesthetic pleasures, the message of sushi strives for a deeper meaning: to connect man and nature, transcending the realm of duality and separateness. Sushi, in its most basic and traditional forms, represents the earth. Land and water are attributed from its elements of rice and fish. The balance between the two represent the harmony in nature. The art of sushi is in its respect and gratefulness, creating a most beautiful display of honor and poise. Each sushi creation is a tribute to the balance of nature. It is in this respect that sushi attempts to transcend the detached world of man and nature. Each piece of sushi praises the forces that support man, thus recognizing our role in the interconnected play of the world. Through the design, care, and technicality that sushi artists and chefs harbor, the lives of the fish and plants that came from the oceans and soil of the earth are respectfully honored. The realization of the consciousness of each component of sushi gives love, admiration, and thanks towards the earth. As man partakes in this experience, he is participating in the gastronomical ceremony of the connectedness of man and earth through sushi. He is praising his dinner for it is the earth he is eating. Without the earth, he would not exist. Sushi is a transcendent experience that involves grace in every bite and every moment. In previous blogs, I have mentioned the importance of changing the way food is perceived. Food must be seen as divine in order to understand our connection with the world. Sushi does just that. The connection between man and nature is exemplified in the artful display of balance and respect for the consciousness of the earth that supports us.